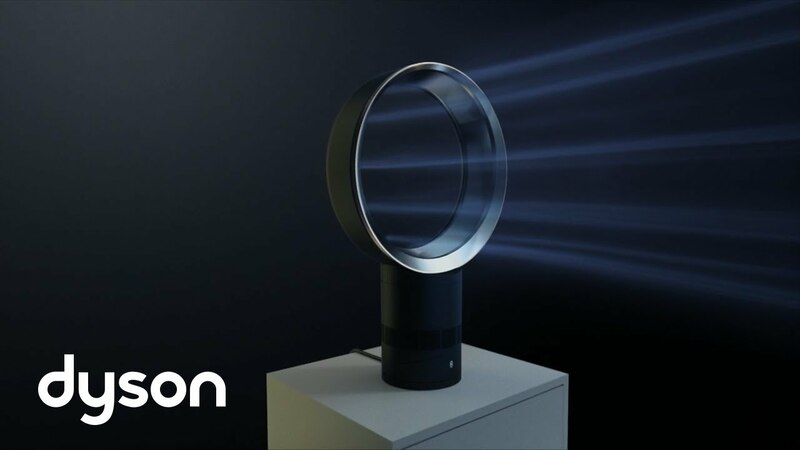 Although Dyson have been marketing the very cool looking AM06 as a ‘desk fan’, I would describe it as more of a mobile air conditioning unit. Taking just seconds to assemble, there is a feeling of magic about this intriguing device; the way it glides as it spins without making any noise, the way the air circulates around the room consistently, not to mention it’s great looks. Did I mention that it also has a remote control? With four children in our house (the youngest being 3 years old) we have to be careful with fans. Little fingers can all too easily get stuck between the blades, so in the past we’ve usually opted for open windows during the hot summer months. When I saw the press release for the blameless Dyson fan series I was intrigued. Once you find a suitable position for the Dyson (sitting it next to an open window maximises the circulation of fresh air around a room), you just sit back and relax as the AM06 cools even larger living rooms in a matter of seconds. No roaring blades drowning out the sound of the TV, just quiet and calm air cooling which I would compare to a decent air conditioning unit. Instead of just blowing the air about the room, it actually cools everything down. Unlike standard air conditioning units, you can move it from room to room with ease; just unplug it and take it with you. The AM06 is mains powered. 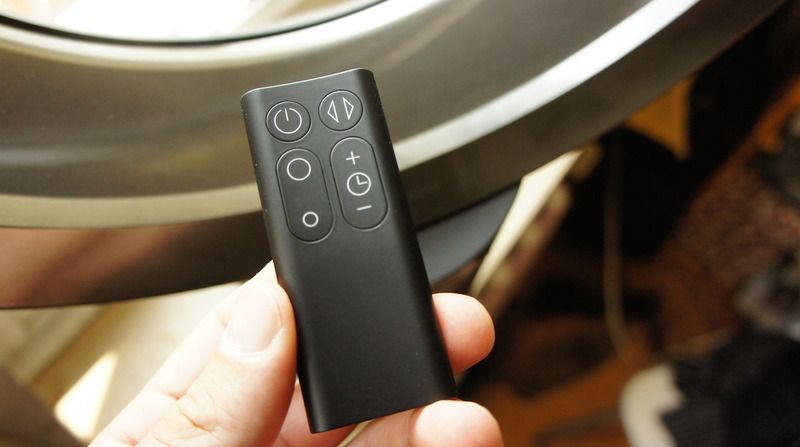 It also comes with a remote control which allows you to change fan power (1 being very gentle up to 10 being the highest setting), activate the oscillation function (allowing you to spread the cool air around a room easily) and to turn the unit on or off. The AM06 also has a timer function, allowing you to set it to switch off once you’ve fallen asleep for example. On top of all this, the Dyson really looks the part too. Coming in gun metal grey with a matt blue ring from where the air originates, it fits nicely into almost any room theme. The AM06 looks great in the office too. The Dyson AM06 Desk Fan is a must for families. The bladeless motion, the low volume (meaning you can have it in the same room as a new born without waking them up!) and it’s ease of use make it a perfect choice for keeping a room nice and cool during the summer. We cannot recommend it enough.